My nineteenth ground of 2015 was on Saturday 10th October at New Meadow in Shrewsbury, Shropshire. The match was Shrewsbury Town vs. Colchester United in Football League One. New Meadow sits on the southern outskirts of the town just across the railway line from the Meole Brace Retail Park. 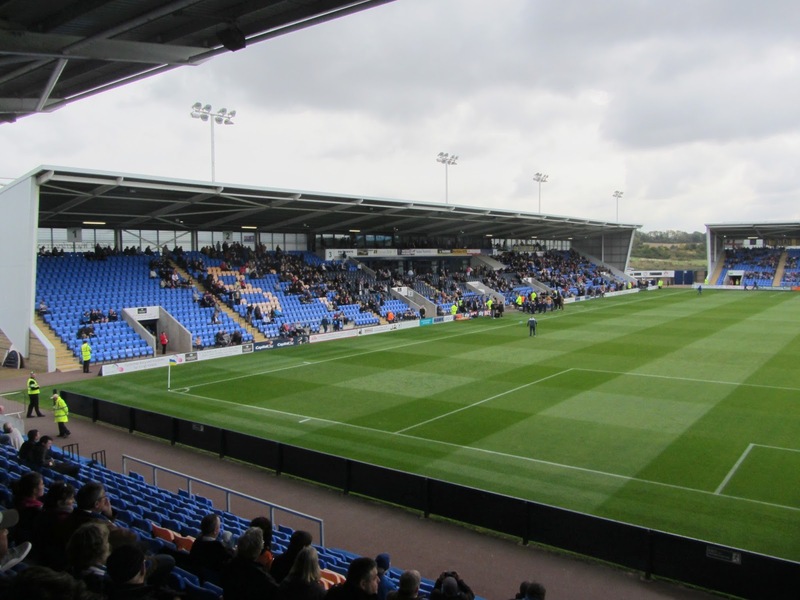 It is 2 miles south of Shrewsbury railway station and has been home to the club since 2007 when they left their Gay Meadow home after 97 years. The stadium consists of four stands of identical heights with gaps in each corner. 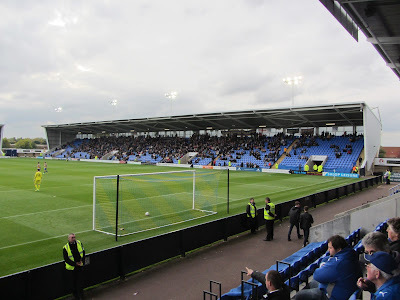 New Meadow has a capacity of 9,875 though for the visit of Chelsea in 2014 the club installed temporary seating in two corners to enable a record attendance of 10,210 to be achieved. The East Stand includes the club reception, home ticket office and a small club shop as well as the player dressing rooms. All the hospitality areas are contained within with two rows of corporate boxes in the middle of the stand. Away fans are positioned in the North Stand which has the smallest capacity on behalf of the media box in the top corner. 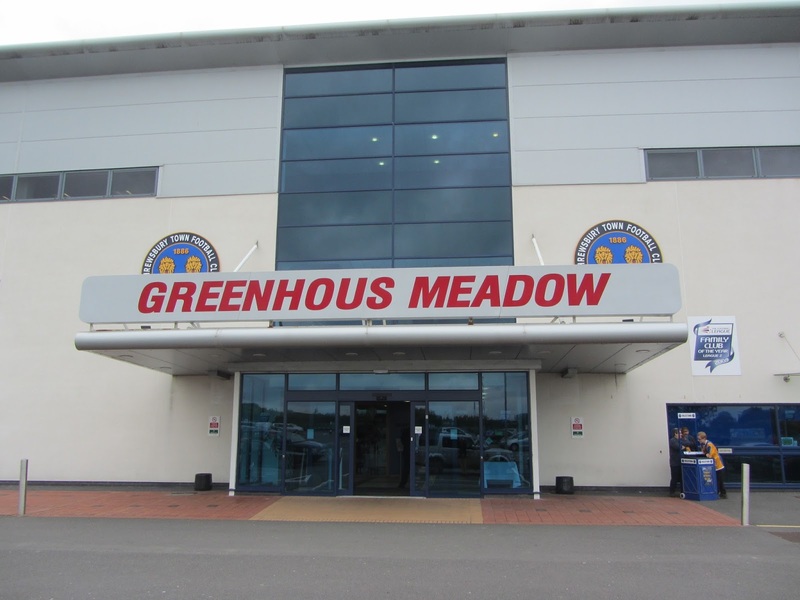 There is an away ticket office on the outside and the area behind the stand also hosts a Powerleague centre with seven mini football pitches. 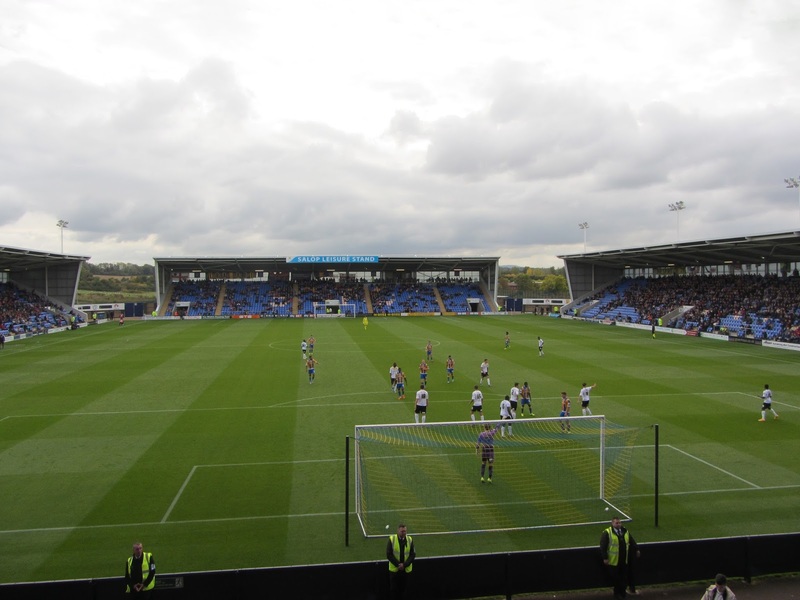 At the opposite end of the stadium the South Stand contains the more vocal element of the Shrewsbury fanbase. The West Stand has the largest capacity in the venue and is the only stand without a platform for disabled supporters at the back. Colchester came into the game on a good run of form and dominated the first half. The U's had the ball in the back of the net twice in the first half-hour only to see the offside flag deny them on both occasions. It was third time lucky in the 36th minute though as Gavin Massey's was turned into his own net by Mark Ellis. In the 39th minute it was 2-0 as a corner was knocked on to Tom Eastman who backheeled the ball into the home goal. The Colchester cruising at the break few could have foreseen the second half collapse that was to come. The home side made two changes at the break and this paid immediate dividends as just 39 seconds into the second half the hosts reduced the deficit as Larnell Cole beat Tosin Olufemi down the left-wing and crossed for Tyrone Barnett to head home. 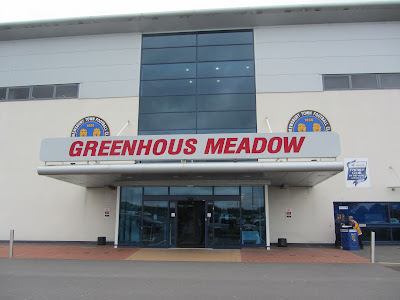 Just before the hour mark Shrewsbury equalised as Ian Black's floated ball bypassed the static away defence and found Tyrone Barnett who chested the ball and clipped it over the advancing Jamie Jones. The home side went in front in the 71st minute as a lofted ball beat a Colchester defence trying to play offside allowing Sullay Kaikai to round the keeper and roll the ball in. The final goal arrived in the 81st minute as Liam Lawrence lofted the ball to Kaikai who took a first time shot which went through the legs of Jones in the visiting goal. The two substitutes brought on at half-time had bagged four goals between them and turned a likely defeat into victory for the Shrews.